I have a good friend Gavin Charlesworth who is the Thailand agent for the famous brake pads and discs branded as EBC. I have run these on my race car for the past few years and described the EBC pads as the next best thing to a brick wall. The following is the second half of an article Gavin sent to me, and is very informative. 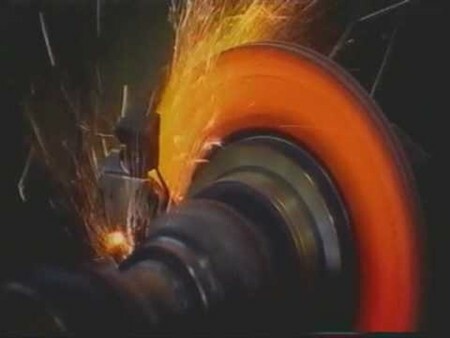 There are a number of ways friction materials can be affixed to brake pad back-plates. A common problem with brake pads is edge lifting, leading to brake noise or even separation of brake material from the back-plate. This is often caused by moisture ingress (resulting in rust) or bond failure. And we’ve had a bit of moisture recently. NUCAP NRS™ – ‘The most advanced mechanical attachment technology”. Slots – Slots in the friction material help reduce water and gas fade and also help the pad wear evenly. Chamfers are added to brake pads to reduce vibration (noise) and help for a faster bedding in (run in). Electronic sensors which operate a warning light or OBC message when the pad is low work by completing a circuit when the sensor touches the disc because the brake pad has worn thin (common on European cars). Screech pin, is a metal strip which touches the disc when the brake pad gets thin and makes a noise. Different brake pad materials give a different brake pedal feeling and different performance characteristics. A metal based pad may feel hard and grabby where by an organic pad feels soft and has the feeling that it is sucking the pedal or foot as the vehicle slows down. Choose a brake pad that suits your vehicle. A high performance track pad may not be correct for an eco-car used in the city as it may not generate enough heat to work in its effective friction-heat range. Annual mileage (performance pads do not last as long). Driving environment (motor­way, city, mountain, off-road, circuit). Driving style (racing, normal, mixed). Brakes are very important (obviously) and as a racing driver I have to rely on the braking efficiency of the pad/rotor combination. I use EBC.